...which is part of the latest Etsy 'Get the Look' series, and provides a nose around this super stylish pad in San Francisco (which you can also rent, should you be on holiday in that neck of the woods). Anyway, read more about that and see images of the rest of this home/holiday let at Etsy, and if you want to adorn your own walls similarly, do check out Kim Olsen Photography. 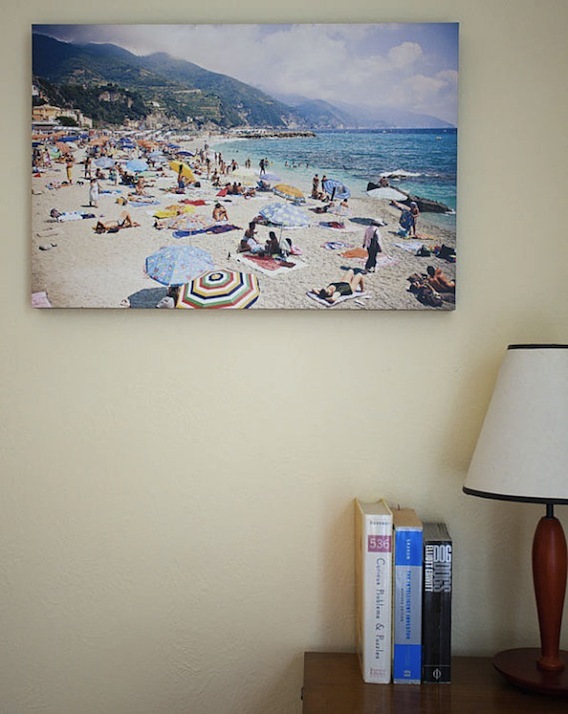 This image, 'Beach Cinque Terre, Italy', is great. I love all the colours, and the way that big umbrella in the foreground ties them all together. It costs around £90 for a 16"x24" canvas print. She can make different sizes to order, too. 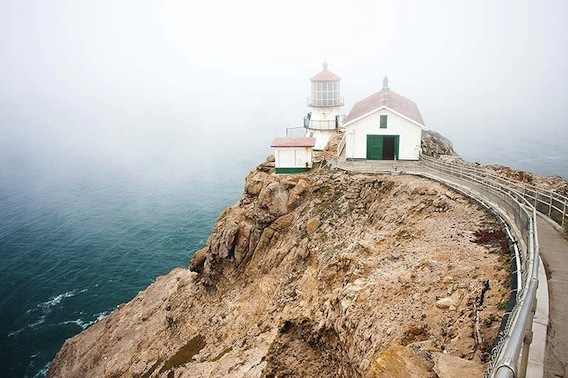 I really like this image of Kim's, too, taken of Point Reyes Lighthouse in California. Same price and size as above (for non-States-based readers, she is happy to ship abroad, although it doesn't say so on the page – it just depends what size and format print you order and how easy it would be to send. But she is happy to look into options and get a quote for delivery outside the US). The American Photographer's Gallery also ships to the UK. 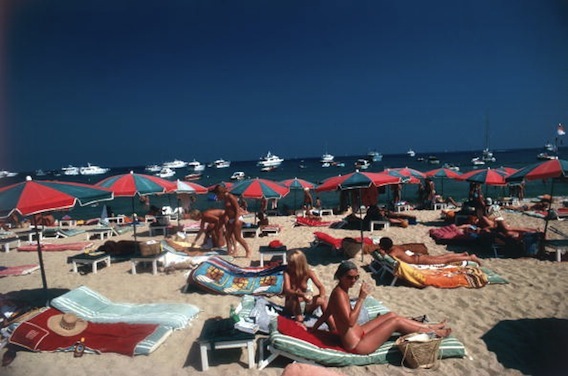 There you can buy vintage stunners such as this classic 1970s Slim Aarons' print of the beach at St Tropez. 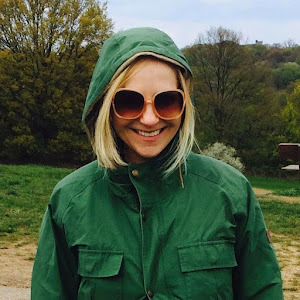 You could also always try blowing up your own image via an online service such as the one BonusPrint or Snappy Snaps offer (there's lots more detail about those in this post). Or try online print-to-order galleries, such as 55Max (though, depending on what you go for, the options there can be a little commercial, like you got them off-the-shelf) and Surface View, which is excellent – they'll also print onto birch ply or expertly mount your photography – but can be pricey. 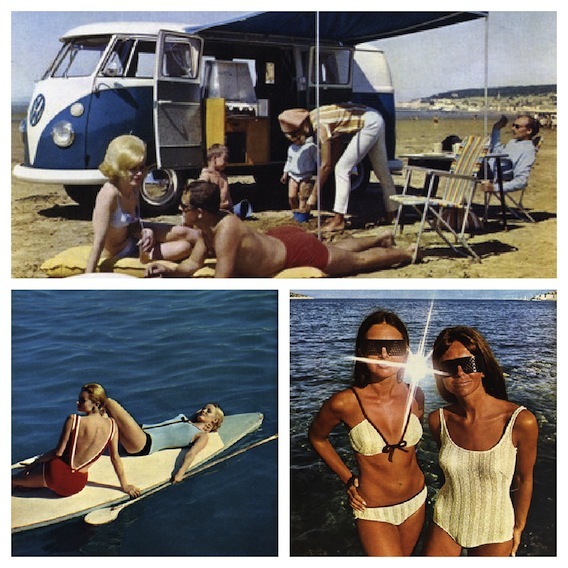 I also discovered last week, while nosing around Wayne and Geradine Hemingway's lovely online shop, that they sell some pretty cool prints through their Land of Lost Content strand. A bit different, as you can see below. 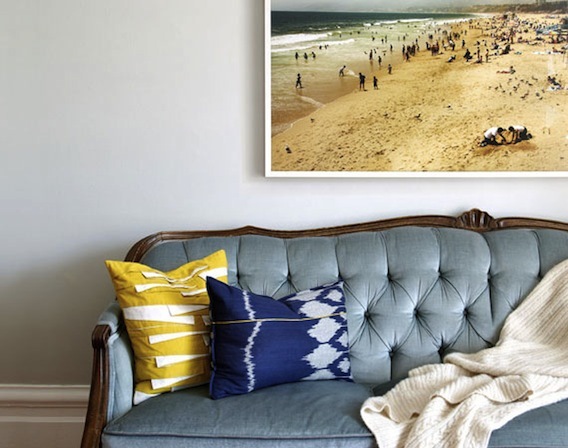 Check out more ways with photography as wall art in this post on the topic from earlier last year. Great post - nothing like a knitted swimsuit!